Taking a cruise can be a great way to get away from it all. Phones get turned off and responsibility seems to melt away. Finding a lesser known balcony on the front of the ship, I found my favorite way of catching sunrises and sunsets. 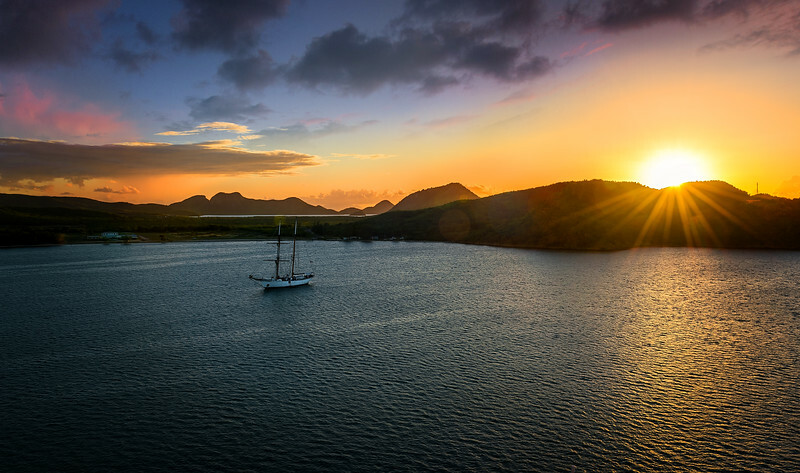 Here is a shot taken as we were heading out of St. Johns, Antigua and Barbuda.